Based on the best-selling novel, “Pines,” by Blake Crouch, and brought to life by suspenseful storyteller M. Night Shyamalan (“The Sixth Sense,” “Signs,”), WAYWARD PINES is an intense, mind-bending new thriller in which nothing is what it seems. 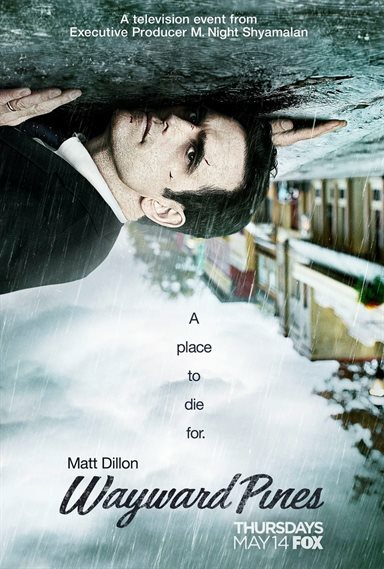 Secret Service agent ETHAN BURKE (Academy Award nominee Matt Dillon, “Crash,” “City of Ghosts”) arrives in the bucolic town of Wayward Pines, ID, on a mission to find two missing federal agents. But instead of answers, Ethan’s investigation only turns up more questions. Each step closer to the truth takes Ethan further from the life he knew, from the husband and father he was, until he must face the terrifying reality that he may never get out of Wayward Pines alive. Download Wayward Pines in Digital HD from the iTunes store. Wayward Pines images are © FX Productions. All Rights Reserved. 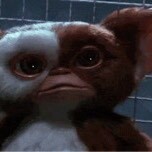 M. Night Shyamalan, the man behind the highly successful Sixth Sense, has had a very interesting career. Early on, his works were met with awe and wonder. However, something happened later on in the game, where a project stamped with the name "Shyamalan" on it had a person take a momentary pause before they decided if it was good enough to watch. So, it is with no surprise, that when the Wayward Pines mini-series, based on the book series by Blake Crouch and produced by Shyamalan, was announced, it made viewers question if they really wanted to bother watching. From a cursory glance, the plot of Wayward Pines is pretty simple, and is taken directly from the first book in the series. Secret Service agent Ethan Burke (Matt Dillon; Wild Things) is sent out to find two missing Secret Service agents that were last seen in Wayward Pines, Idaho. However, along the way, Ethan is involved in a car accident, which lands him in the Wayward Pines hospital. After recovering from his injuries and leaving the hospital, Ethan discovers that not all is right in this quaint, simple mid-western town. Wayward Pines slowly builds up the tension from it's first episode (When Paradise is Home), and explodes in a crescendo in it's finale (Cycle). From the onset, viewers will be able to tell that something's not right in the town, but the show slowly unravels clues to let the them decide for themselves what the true nature of Wayward Pines might be. Just when the audience thinks they have it all figured out, M. Night Shyamalan throws one of his famous twists into the mix, making everyone second guess what just happened before. While Wayward Pines is a "made for television" mini-series, 20th Century Fox, and the producers, certainly spared no expense the show. With sets that look like they are something out of a movie (including building an entire side of a town), to the inclusion of a cast of silver screen actors such as Carla Gugino (San Andreas ), Toby Jones (Captain America: The First Avenger), Melissa Leo (Olympus Has Fallen), Terrence Howard (Lee Daniels' The Butler), and Juliette Lewis (Cape Fear). Each actor brings their "A" game to their characters and helps fully flesh out the town and make Wayward Pines come alive. Sadly, 20th Century Fox decided to not release Wayward Pines on Blu-ray, but only on DVD and Digital HD. 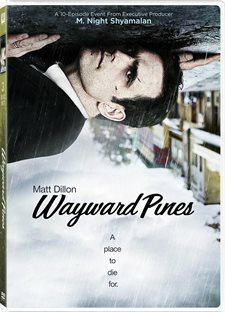 However, even with this limited platform, the DVD does contain two extras for fans of the show wanting to delve deeper into the masters of Wayward Pines. This includes some behind the scenes snipers as well as interviews with the cast and crew of the show. Wayward Pines is an amazing mini-series that helps bring the tarnished reputation of Shyamalan back into the light. It is a shame that Fox did not option a second season, nor give this series the proper Blu-ray treatment it highly deserved. Hopefully both of these issues will be resolved in the future before we hit the year 4014.